Because we can't be healthy all the time, I decided to make Gorden Ramsey's Mississippi Mud Pie for Valentine's Day this year. You guys! This pie is ridiculous! It's insanely good. 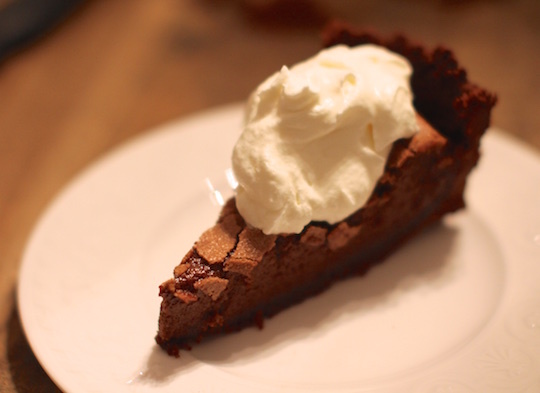 And insanely indulgent too.... it contains only 5 simple ingredients: chocolate, butter, eggs, sugar & cream. So yeah, obviously it's good! (Come to think of it, it would actually be gluten-free too if it weren't for the graham cracker crust... but you could easily swap out the graham crackers for ground almonds and all would be righted in the wheat-free world). So anyway, this pie is way too delicious not to share. So read on for the recipe. 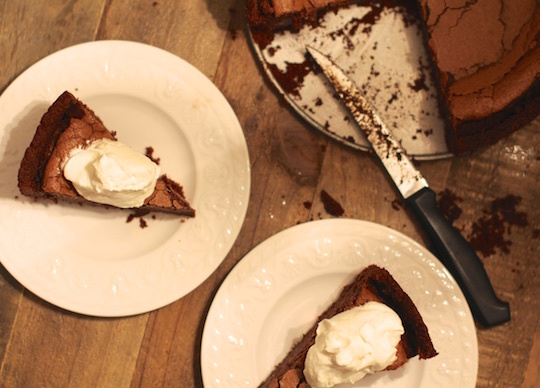 And bake this up next time you're in need of a serious chocolate fix. 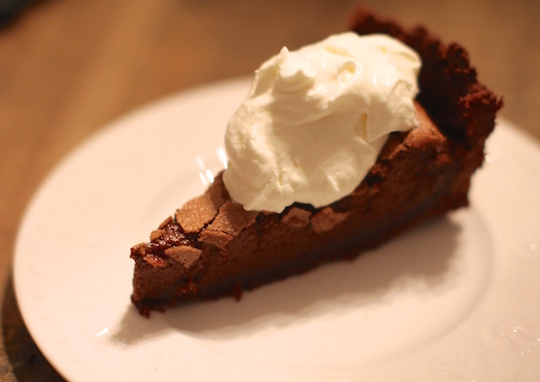 Make the crust: Melt chocolate and butter together in a small saucepan over gentle heat until smooth. Then stir in graham cracker crumbs. Tip the mixture into the bottom of a 9-inch cake pan with a removable bottom. Press into the bottom and up the sides to form the crust. Chill in the fridge while making the filling. Make the filling: Melt the chocolate and butter as above. Set aside. In a medium bowl, beat the eggs and brown sugar with an electric mixer until thick and doubled in volume. Mix in the cream, followed by the melted chocolate. Pour filling into the chilled base, and bake for 45 minutes until just set. Allow to cool completely before removing from cake pan. This pie can be made in advance and kept in the fridge. Pie will harden significantly in fridge, so take out of fridge at least 30 minutes prior to serving. oh my god yes please! 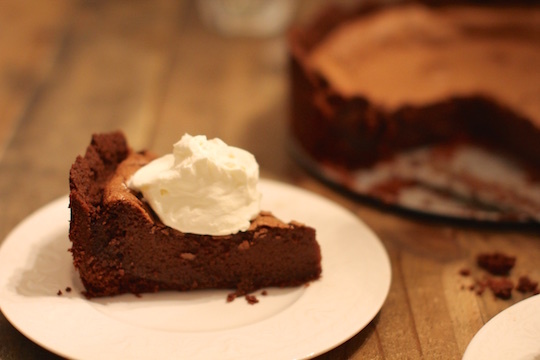 I do love a good old chocolate recipe, yum!